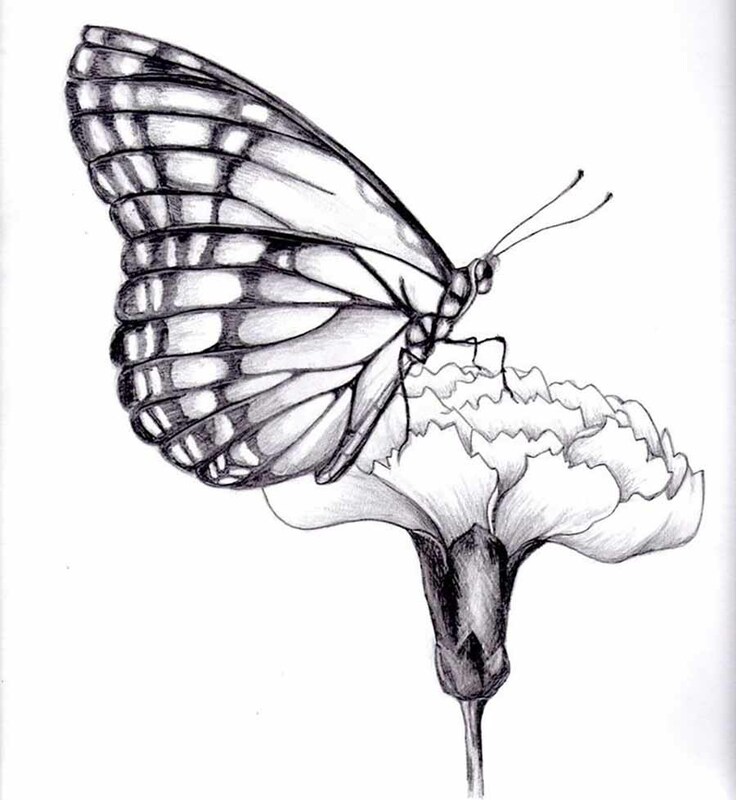 In today’s video tutorial you will be learning about how to draw a butterfly realistically on a flower beautifully. This is easy step by step for beginners tutorial. If you are a kid, you must enjoy carrying on your fun moments catching a butterfly in a park or some garden maybe a field if you are a country boy. If you are an adult, you must miss your good old days when you used to catch those butterflies for hours, and if lucky enough to catch one or two, containing those beautiful butterflies in some glass jar. We all have done those little things in our childhoods before this robotic age came snatching all those little memories from us and pollution and urbanization making our past world a filthy place and an unlivable one nowadays. You guys must follow us throughout this video tutorial as we will reveal some tips and tricks on how to draw a butterfly realistically on a flower in an easy and step by step process for beginners and of course kids. This video tutorial will give you important guidelines on portrait drawing and also some landscape drawing techniques of drawing multiple images on a single paper. This step by step process is an easy as a pie process so a kindergarten kid can do it too, and if you are eager to get good grades in drawing or you want to draw good biology diagrams, this is the right port you just landed on. Pack your bags and follow us to a great and exotic adventure to this exotic and multicolor world of drawn graphics. If you succeed here, there are just the techniques in advanced drawings, and with strong basics, it is nothing but a two minute hard work. We have now produced dozens of videos depicting more than one image in a single drawing, so this art may now become familiar to you. If you missed out the previous ones, find out like these by searching on our homepage.